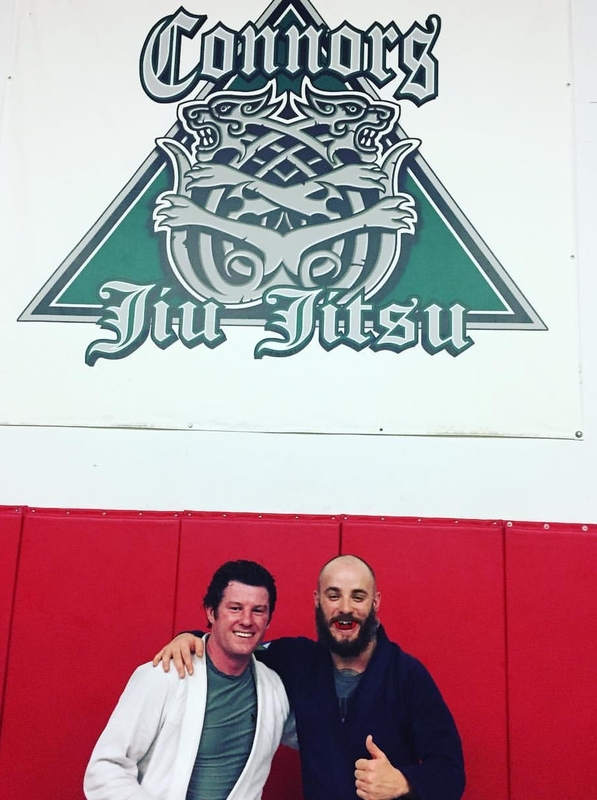 A few weeks ago I was asked to be a guest on the Power Of The Tribe podcast, hosted by BJJ Professor John Connors from Connors MMA and Dan Robin, a fellow student at Connors MMA. I had a great experience on the podcast and I may be biased but I think the conversation was both fun and informative. You can listen to the episode that I was on to the right or by subscribing to the Power Of The Tribe podcast on iTunes. After our discussion on the podcast, I went home and I started to think about the ways BJJ made me a better marathon swimmer. I have been practicing BJJ on and off for the past 7 years. I started with Danny Morera at North Shore BJJ and have continued to learn with Professor Connors at Connors MMA. After some reflection on my training I have come up with a list of a few of the areas in which BJJ had the biggest impact on my marathon swimming. I’m sure many of you, like myself, have gone through countless workouts or long swims in which things didn’t go our way and we wanted to quit. This may also be the case on the days of your big swims. I know there were 3 or 4 times on my Catalina Channel attempt that I wanted to throw in the towel due to shoulder pain or just general feelings of hitting a wall. A major reason I didn’t is because of what I have learned in BJJ. In BJJ I have an opponent whose objective is to make me as uncomfortable as possible and try to get me to submit by either trying to choke me out or break one of my limbs. When you get used to this type of environment, you learn mental techniques to push through pain and keep moving forward. This was a lesson that got me through many training swims and through Catalina as well. Just because you are in a bad position now doesn’t mean you will be a few minutes from now; you need to just keep moving with the understanding that in 5 minutes or a half hour you will be a in a totally different place both mentally and physically. Brazilian Jiu-Jitsu taught me this lesson and it taught me not to quit when I am uncomfortable and in pain. BJJ taught me to keep moving forward and try to improve my position which is no different than open water swimming, it is just a little more urgent. When an opponent is trying to submit you, you need to put how tired you are or how bad it hurts aside and you need to dig deep to find a way out. This lesson and skill is what I believe to be the biggest benefit that BJJ has had on my marathon swimming. BJJ has given me a love for failure. No one loves failing but when you become accustomed to it then you learn how to grow from in. In BJJ there are 2 opponents fighting, whether you are training or competing, and one has to win and one has to lose. Everyone in BJJ has had to tap out and there is nothing wrong with it if you learn to grow from it. There are many reasons you might lose a match, but if you can take a moment, reflect on the reason for the loss and grow from it then it truly isn’t a failure. Tapping out fairly frequently can be an indication that you are trying new techniques that you are not quite comfortable. As you progress, every time you have to tap you learn more about where you are getting caught, then you work on that piece until you have it down. The key is being okay with tapping out or failing and learning from it. Failure in BJJ for me (maybe because I am not great at it) happens multiple times a day whereas in swimming it may happen only once a week or once every few weeks. But when it happens that frequently, I have learned to use it to grow as an athlete. This has made my marathon swimming that much stronger. When I have a bad workout, I don’t dwell on it. I use this ability to cope with failure to learn what went wrong and how to improve for the next workout. This is an incredibly useful skill, not just in BJJ and swimming, but in all aspects of life. I believe in order to be great you need to fail, accept it and learn from it. Once you do this, you will most likely see staggering growth in your swimming, BJJ or triathlon. BJJ has taught me to learn to love failure and I have become a much stronger marathon swimmer as a result. Brazilian Jiu-Jitsu will make you strong and it is the type of strength that will improve your swimming. No matter how strong or fit you think you are, I can almost guarantee after your first BJJ class you will wake up more sore than after doing almost any form of activity. You wake up and your abs hurt, your back hurts along with your shoulders, hips, quads, pecs, biceps, triceps, elbows and forearms. Basically every single muscle you use for swimming and more get an insane workout. When training BJJ, you are in a constant state of push or pull. All of the muscles and joints you use for swimming are getting worked, but they are doing so in very different ways than you are used to. You learn to use your body in a way that you probably have not before. Now that you can activate these muscle groups, you can benefit from this in the pool or open water. BJJ also will make your elbows and shoulder joints stronger from the constant pull and push. It may not completely replace traditional strength training but it comes pretty close to covering everything you need. The added benefits of cross training with BJJ is that it is fun, you meet some amazing people and you are learning a very useful skill set. This is a list of only a few benefits of using Brazilian Jiu-Jitsu for cross training. There are a myriad of ways BJJ can help your swimming, including but not limited to enhancing confidence, power and explosiveness and patience. If you have not considered, or are on the fence about, using BJJ as a method of cross training, then I would urge you to do some research, find a good BJJ Academy near you and give it a try. Not only will your swimming improve but you will also change as a person. You may even grow your support system of people interested in your crazy swim goals! If you are a swimmer who also trains in BJJ, please leave the list of ways BJJ has helped your swimming in the comments!